TV actor Ankita Lokhande is all set to make her silver screen debut with Manikarnika. Ankita plays Jhalkaribai in the Kangana Ranaut-starrer. The film also stars Atul Kulkarni and Vaibhav Tatwawaadi. Ankita Lokhande makes her Bollywood debut with Manikarnika. Actor Ankita Lokhande became a household name after her stint in the popular television show Pavitra Rishta. Now, the actor is all ready to make her debut on the silver screen with Manikarnika. The Kangana Ranaut starrer is based on the life of Rani Laxmi Bai. While Kangana will be seen playing the titular role, Ankita will be playing Jhalkaribai. Ankita’s first look from the film was recently released and one can say that Ankita is all set to play a strong character in her debut film. 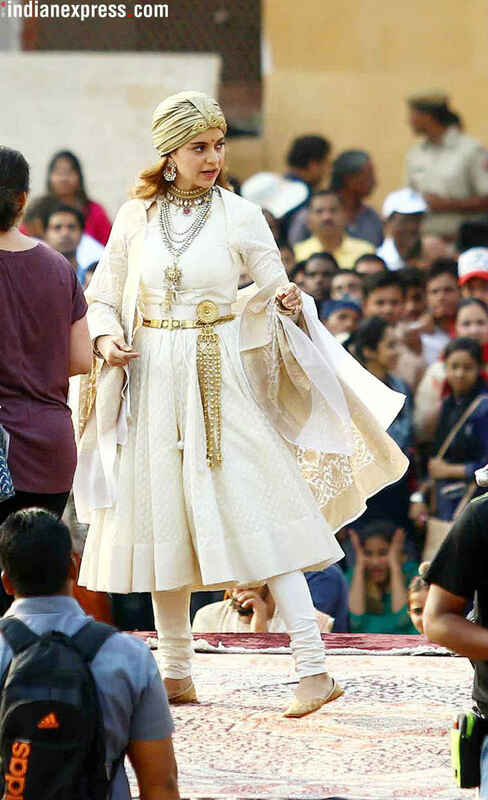 Ankita Lokhande plays Jhalkaribai in Manikarnika. Kangana Ranaut’s look from the film was also released a few months ago. The white and gold ensemble that she sported in the pictures made her look regal, fierce and intimidating. Kangana was injured while shooting a fight sequence but carried her scar like a fierce warrior. The film also stars popular actor Atul Kulkarni. He will essay the role of Tatya Tope, and will also be seen performing his own stunts in the film. Ramchandra Pandurang Tope, popularly known as Tatya Tope, helped Rani Laxmibai regain control over Gwalior and free it from the clutches of the Britishers then. Manikarnika is a biopic on the life of Rani Laxmibai of Jhansi. Vijayendra Prasad, who is writing and directing this biopic, has earlier written blockbuster films like Baahubali and Bajrangi Bhaijaan. He had earlier mentioned that the war sequences will be the highlight of the film.